Referral Diving Course – Dive with us! With the PADI system of diver education, you can start your PADI Open Water Diver course at home and then complete it here in Thailand with Sunrise Divers. We often receive referral students who have completed their theory and pool training in cold winter locations such as Sweden or Canada, just leaving the 4 required Open Water Dives for the warm waters of Thailand. 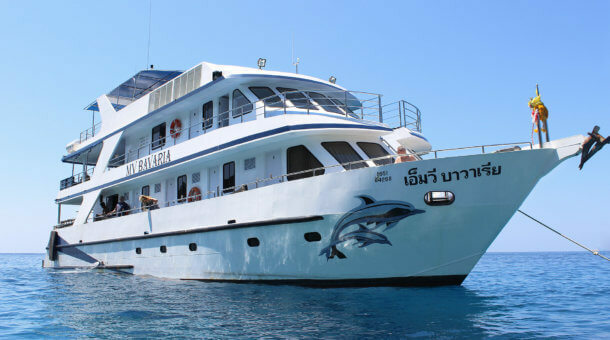 You make your dives at Racha Yai and Racha Noi Islands to the south of Phuket. We do 5 or 6 dives as part of our course so you get extra “fun dives”! Don’t forget to bring your referral paperwork with you! Prices above are for group instruction with up to 3-4 students per class. Private 1:1 course price add 2,000 Baht. Private 2:1 course add 1,000 Baht per student. 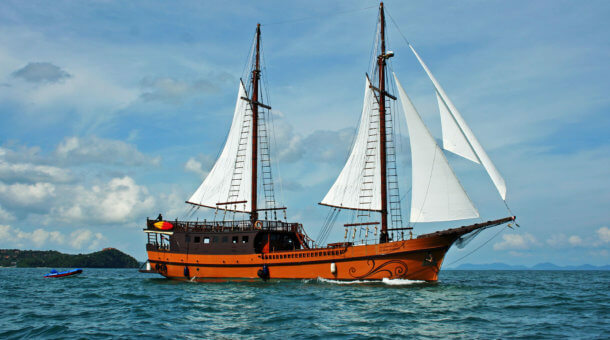 Prices include equipment rental, certification fee, breakfast & lunch on boat trips, hotel transfers, insurance and log book. Book Online with no credit card charges! What is a Referral Course? Start at home and become a diver in Thailand! Holiday time can be a precious commodity in this day and age. People work hard and want to relax on holiday. The PADI Open Water Referral allows you to save holiday time by completing part of your course with a PADI Dive Center at home, then coming to see Sunrise Divers to make your 4 open water dives. You can get all that classroom and pool stuff done at your leisure in the evenings or weekends – just find your nearest PADI Dive Center by checking the PADI website. Or you can at least get all the theory done at home by signing up for PADI eLearning. 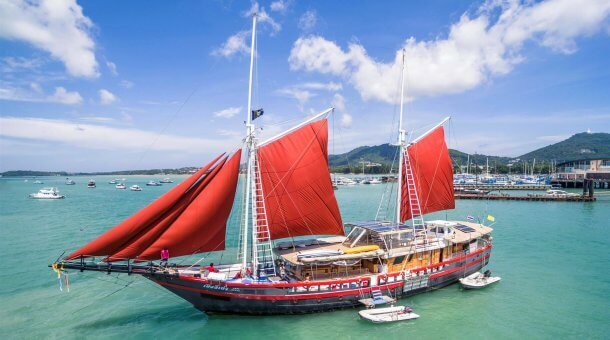 If you complete all the pool and theory, all you need to do is bring your referral paperwork to us and sign up for 2 days diving in the warm waters of Thailand. We hope to see you here soon, and we look forward into turning you into a certified PADI Open Water Diver! Day 1 : Start 7:45am, pick up from hotel, diving 2 dives at Koh Racha Yai, return about 3:30pm. Day 2 : Start 7:45am, pick up from hotel, diving 2 dives at Koh Racha Yai, return about 3:30pm. Day 1 : Start 7:45am, pick up from hotel, diving 3 dives at Koh Racha Noi and Koh Racha Yai, return about 6pm. 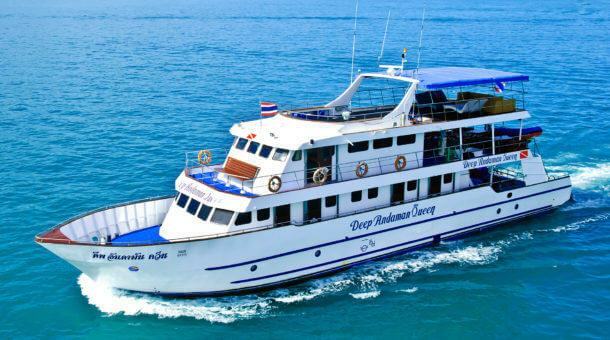 Day 2 : Start 7:45am, pick up from hotel, diving 3 dives at Koh Racha Noi and Koh Racha Yai, return about 6pm. We suggest that you stay close to Sunrise Divers (we are at Karon Beach) when taking your referral course. Ideally you should plan to visit our shop before your diving days so we can check your referral paperwork, and you can try equipment. On both diving days, pick up is from your hotel, pick up time 7:45am based on hotels in Karon or Kata Beach area. Pick up also possible from Patong. Other areas of Phuket may have an extra pick up fee. Important Note : If you are taking a dive course you must remember to allow 18 hours after diving before flying – read more about this : Flying After Diving Guidelines. Be sure to plan your flights accordingly!